Dr. John Tassone, a podiatrist, has been in private my homework market practice in Phoenix, Arizona since 1997. He has practiced with the Arizona Podiatric School of Podiatry since its inception in 2004 and is currently an associate professor and course director of imaging. Dr. Tassone is also an adjunct faculty member of Maricopa Community Colleges and Arizona Christian University. He is board certified with the American Board of Podiatric Medicine, a fellow of American Academy of Clinical Wound Specialists, and a clinician of the Banner Wound Care Center. Dr. Tassone holds a Pioneer Certification in Musculoskeletal Ultrasound from the American Registry of Diagnostic Medical Sonographers (ARDMS) and is a member of the American Institute of Ultrasound in Medicine (AIUM). 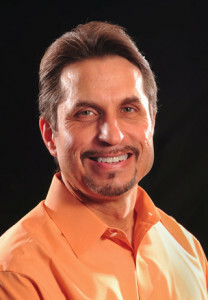 He a national speaker and has done numerous ultrasound workshops over the years. Dr. Tassone has written several publications and textbook contributions and is co-editor of the new publication, Diagnostic Ultrasound of the Foot and Ankle. He is currently in practice at Thunderbird Internal Medicine, a multispecialty group in Phoenix, Arizona, and along with his clinic, interprets the lower extremity imaging for 20 internal medicine physicians. His vision for this blog is to create a forum to foster and promote the education and use of diagnostic ultrasound (DUS) of the lower extremity. DUS is a critical imaging tool for the clinician in practice and needs to be as ubiquitous as X-rays in the clinical setting. He feels we can learn from each other and education for a practicing physician should be a life long pursuit. Patients are priority and DUS is an imaging tool with “endless” benefits. Whether a clinician who has been utilizing ultrasound in practice for 10 years or a neophyte who has a new ultrasound (or needs to wipe off the dust of an old ultrasound buy essay online sitting in the corner), egos need to be left at the door, as clinicians come together to improve patient care. Sarah Butzler is currently a third year podiatry student at the Arizona School of Podiatric Medicine located in Glendale, Arizona. Born and raised in Michigan, Sarah received her undergraduate degree from Albion College with a degree in biochemistry. Personal reasons lead her to the podiatric profession. Her academic performance has been exemplary. Sarah enjoys traveling and a noticeable destination has included Bali, Indonesia. I was thoroughly impressed with her performance in medical imaging, in which I am the course director. She especially showed an innate talent for diagnostic ultrasound. Her passion and enthusiasm for this imaging modality, along with her technical skill, prompted me to ask her to assist me with this blog. She will assist me in compiling upcoming educational courses, reviewing and summarizing important articles, and posting interesting cases.